A study and forecast report by Wireless Intelligence tells us that the Indian 3G subscriber base is all set to boom. It predicts a 30% of Indian population to be 3G users by 2015. That will be 400 million users in 4 years. 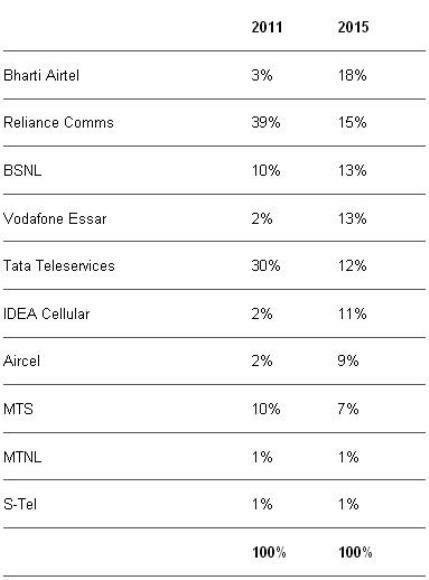 In the 3G autions last year, 7 Indian operators have acquired the license to rollout 3G services. However, no operator has got pan India license. This means that users will have to pay extra for roaming as rival networks need to hand-shake when moving from home zone to roaming zone. This is not new to Indian users, as we have been paying for roaming for almost a decade now. Just as the 2G roaming rates are about to be removed, the 3G roaming rate are coming into picture. In a country which has around 200 million people living on less than Rs 100 per day, success with additional network cost is always a challenge. The study also shows that Tier 2 and 3 cities will account for 75% of the 3G user base by 2015. Though the initial rollout was on the metro cities, the demand for 3G connection is high in Tier 2 and 3 cities, especiall y in Punjab, Bihar, Andhra Pradesh and Haryana. For the Great-Indian-aam-aadmi, all this simply means that the network charges are all set to come down further in both 2G and 3G networks. The competition is intense, but the real beneficiary are the end-users. Ultimately the best network would be the one that provides the best network Quality of Service (QoS) and top-notch customer care service.